Headlines in the Israeli news this week were not about Palestinian terror, impending global or regional war, or Iranian pronouncements of destruction of the Jewish state. Instead, media and public attention focused on criminal corruption charges against Prime Minister Netanyahu, and to a lesser degree, his wife. 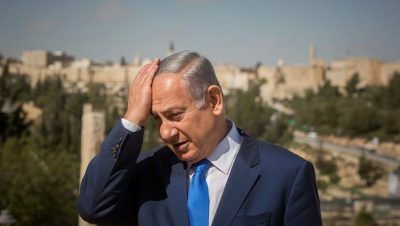 After years of investigation, Israeli police have recommended the attorney general indict the prime minister in two separate matters of bribery and breach of trust. One set of charges accuses him of having received personal gifts illegally. The other set alleges he struck a deal with the owner of a leading Israel newspaper to tone down its criticism of his administration in exchange for reducing the circulation of a rival newspaper. Internal political crises and cruel media slurs have dogged Netanyahu for years. This is partly because the Israeli coalition system of government can readily lend itself to both real and “fake” (media manufactured) corruption. Recall that not too long ago, former Prime Minister Ehud Olmert and former President Katsav were both indicted, forced to leave office and sent to prison. We sensed the charges against them were in fact true and that God wanted to replace them. With heavy hearts, we still believe that God raised up Netanyahu and placed him in office. By his leadership since 2009, Israel stands today in a better position with respect to security, international diplomacy, financial prosperity, and in some ways spiritually, than any time in its modern existence. Netanyahu respects the Hebrew Scriptures. He is the only head of state to have quoted them to the UN General Assembly in recent years. This is not to say he is without sin, has not made serious mistakes, the charges against him are totally false, or that he should stay in office indefinitely. In today’s digital age, the media is probably as much the creator, as it is reporter, of the news. In both Israel and the US (as well as other nations), politicians and media machines are often at sharp odds. When a conservative political leader genuinely seeks his nation’s welfare first, conflict is inevitable with secular, globalist oriented, liberal media. If that leader advocates traditional Judeo-Christian values, intense spiritual warfare can result. PM Netanyahu has been forced to endure unrelenting, vicious attacks on every level against his leadership. At the same time, the opportunity to govern should be regarded as a privilege and honor. When a leader’s term of office is prolonged, this can subtly lead to a sense of entitlement on the part of the leader. Entitlement can sometimes cause the leader to feel (s)he is above—or should be above—the law. (Proverbs 16:2) Only God knows to what extent, if any, the prime minister has succumbed to this temptation. The prime minister’s present political crisis seems far more likely than others in the past to result in criminal indictment. At this writing, we can’t know for sure if God desires his tenure to continue. Even if the PM is not indicted or is proven innocent, great damage has been sustained by his coalition government. That damage may be irreparable and cost him his position. In any case, Psalm 25:19-21 gives strategic direction for prayer. God wants Mr. Netanyahu to surrender fully to Him, that integrity might protect him. Should he soon leave office, he could still potentially serve Israel well as an elder statesman of great wisdom. Righteousness exalts a nation, but sin is a reproach to any people. (Proverbs 14:34) Pray the PM and other governors of Israel will humbly recognize and recommit to the high calling to govern the land where God chose to establish His name, in righteousness and integrity. Who can tell if God will turn and relent, and turn away from His fierce anger, so that we may not perish? Then God saw their works, that they turned from their evil way; and God relented from the disaster that He had said He would bring upon them, and He did not do it. (Jonah 3:9-10)…God opposes the proud but gives grace to the humble. (James 4:6) Pray for a gift of repentance on the PM and other governors of Israel, that they might turn from any evil or corrupt ways and that God would mercifully forestall judgement on the nation. We have escaped like a bird out of the fowler’s snare; the snare has been broken…Our help is in the name of the Lord. (Psalm124:7-8) Netanyahu and members of his coalition appear trapped (in different ways) in no-win situations where any response on their part could cause further harm. Pray for wisdom and the undoing of all demonic traps. When evildoers advance against me to devour my flesh, when my enemies and my foes attack me, they will stumble and fall. (Psalm 27:2) Pray God would protect Netanyahu’s health physically, psychologically and spiritually from years of relentless personal attack. Pray he’d be protected him from bitterness or arrogance of heart toward his enemies. Do not turn me over to the desire of my foes, for false witnesses rise up against me, breathing out violence. (Psalm 27:12) Hide me from the conspiracy of the wicked, from that noisy crowd of evildoers…They encourage each other in evil plans, they talk about hiding their snares; they say, “Who will see them?” They plot injustice and say, “We have devised a perfect plan!” Surely the mind and heart of man are cunning. But God will shoot them with arrows; suddenly they will be struck down. He will turn their own tongues against them and bring them to ruin…(Psalm 64:2,5-8) Pray that God will expose any fake news and hidden truth surrounding allegations against Netanyahu. Pray He will vindicate him quickly to the extent he is innocent. Plans fail for lack of counsel, but with many advisers they succeed. (Proverbs 15:22) Ask God to raise up at least one trusted counselor to encourage and exhort Netanyahu according to His Word. May all who hate Zion be turned back in shame. (Psalm 129:5) May God arise, may His enemies be scattered; may His foes flee before Him. (Psalm 68:1) Due to the current political crisis, our government is distracted from other critical matters, especially issues of security and defense. May God protect His people during this vulnerable time. May He remember His covenant with Israel and deal with His enemies who seek to upend her promised restoration. The Israelites did evil…they forgot the Lord their God…The anger of the Lord burned against Israel…But when they cried out to the Lord, He raised up for them a deliverer,… Caleb’s younger brother, who saved them. (Judges 3:7-11, see also Judges 3:15, 4:3-4, 6:7-12, 28) Pray that a remnant in Israel will cry out to God, asking Him to raise up a leader who will act according to His purposes when Netanyahu’s tenure is over. The preparation of a new, righteous leader is of utmost importance at this time. He deposes kings and raises up others. (Daniel 2:21; see also Romans 13:1, John 19:11, Psalm 75:6-7, Daniel 4:17) But the plans of the Lord stand firm forever, the purposes of his heart through all generations. (Psalm 33:11-12) You will arise and have compassion on Zion, for it is time to show favor to her; the appointed time has come. (Psalm 102:13) To everything there is a season… (Ecclesiastes 3:1-8) Prayerfully proclaim that Netanyahu will remain in office for the full time God wants him there. Declare God’s sovereign timing in the unfolding of this crisis and in end times events concerning Israel. Prayerfully affirm that satan will not succeed in his plans to upend God’s purposes.